"The melodic line is systematically ornamented, syncopation is used with practiced regularity and the general effect is of a bird soaring into the clouds... interestingly enough, although Tom (Ashley) himself has never played the fiddle, he has breathed the tunes into Fred's fiddling with painstaking concern for ornament and inflection, bowing and wrist action." -Joe WIlson, liner notes from "the Ballad of Finley Preston"
Fred Price holds a well deserved reputation as one of the finest of the Old Time fiddlers. He was reared in a musical family. When Fred was a small child, his mother, 'Nelia, played the banjo and sang to him. 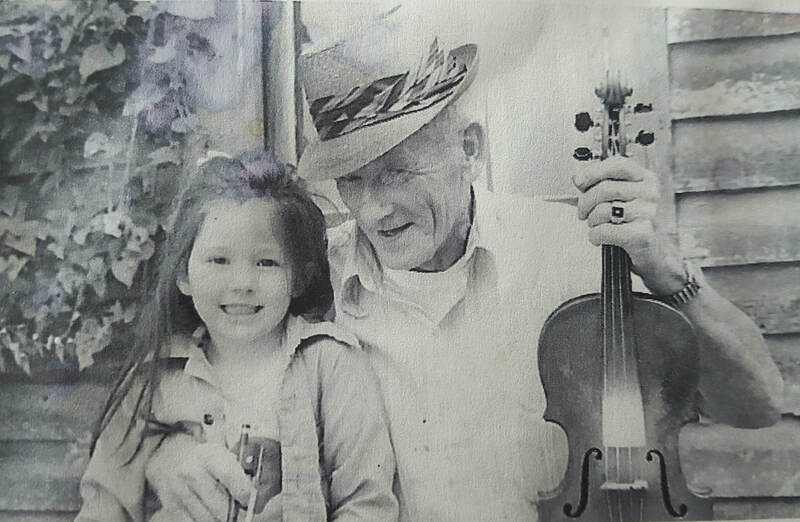 One day, when Fred was about 15, his father brought home an old fiddle and told him he wanted him to learn to play. Supper was just going on the stove, and by the time it was ready, the young prodigy could saw out Little Log Cabin in the Lane. "Saw out" is right, as it takes years to develop the skill to coax smooth sounds from a fiddle. But the young prodigy picked up quickly and soon became known far and wide for his smooth brand of fiddle playing. Fred's fiddle got him through school and helped him and his buddies through World War II, where he was a member of the elite "Merill's Marauders." He came home to marry Mattie Howard from across the mountain, whom he had met while playing at a pie supper. He always managed to bid highest on her pies. They had two children, Lois Ann and Kenneth, both of whom still carry on the family's musical tradition. During the Folk revival of the 1960s, Fred and his fiddle toured with Tom Ashley, the young Doc Watson, and Clint Howard. Among the many venues they played were Harvard, Newport, Greenwich Village, and the Smithsonian. 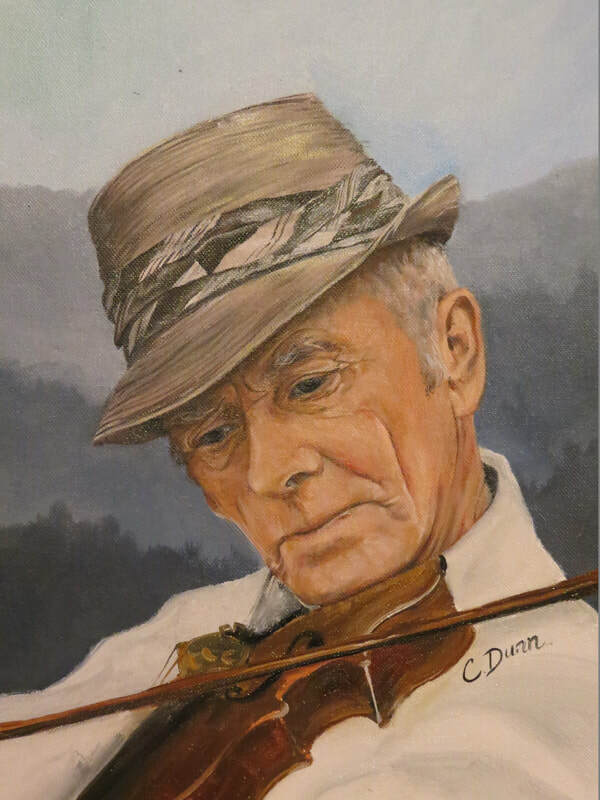 But every time, his fiddle brought him right back home to the simple life he loved here in the East Tennessee Mountains. Fred would live the rest of his life in the home where he grew up. He raised his family, farmed tobacco and corn, and drove a school bus. 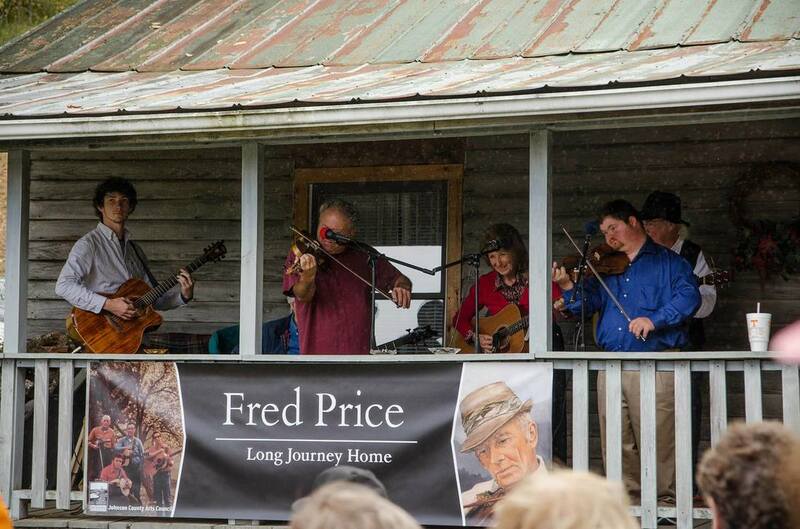 Those who knew Fred Price remember not only a world class fiddler, but a heart full of humility and grace. Whether he was performing for a crowd at Carnegie Hall or for his neighbors down the hollar, his music was the same, and he always left folks with a smile on their faces. 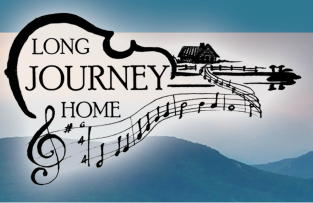 The Fred Price Homeplace comes to life during Long Journey Home, every Labor Day weekend.